The way in which a unit earns money to carry out its program is of great importance in the education of youth members in basic values. Whenever your unit is planning a money-earning project, this checklist can serve as your guide. It will be helpful to you as you fill out the application. If your answer is yes to all the questions that follow, it is likely the project conforms with Scouting's standards and will be approved. Have your unit committee and chartered organization approved your project, including the dates and the methods? There should be a real need for raising money based on your unit's program. We should not engage in special money-earning projects merely because someone has offered us an attractive plan. It's important to remember that individual youth members are also expected to earn their own way. The need should be over and above normal budget items covered by dues. Do your plan and corresponding dates avoid competition with money-raising efforts and policies of other units, your chartered organization, your local council, and United Way? Check with your chartered organization representative to make certain that your chartered organization agrees on the dates and type of fund-raiser. The chartered organization representative can also clear the other dates by calling the council service center. Does your plan comply with local ordinances; is it free from any association with gambling; and is it consistent with the ideals and purposes of the Boy Scouts of America? Money-raising projects that include the sale of raffle tickets are in violation of this policy. This question can be answered only in terms of specific proposals. If there is any question of its suitability, contact your local council service center for assistance. If a commercial product is to be sold, will it be sold on its own merits and without reference to the needs of Scouting, either directly (during sales presentations) or indirectly? Teaching youth members to become self-reliant and to earn their own way is an important part of training our youth members. The official uniform is intended to be worn primarily for use in connection with Scouting activities. However, the executive board of the local council may authorize wearing the uniform in connection with council-sponsored product sales programs. If tickets are sold for any function other than a Scouting event, will they be sold by your youth members as individuals without depending on the goodwill of Scouting to make this sale possible? Tickets may be sold by youth members in uniform in the name of Scouting for such things as pack shows, troop suppers, circuses, expositions, and similar Scouting events. Even when sales are confined to parents and friends, will they get their money's worth from any product they purchase, function they attend, or services they receive from your unit? Here again is the principle of value received -- a sale standing on its own merit -- so that the recipients are not in any way subsidizing either Scouting or the member. Youth members must learn to pay their own way and to honestly earn the money to do it. You cannot permit anyone to use the good name of Scouting to sell a product. If a project is planned for a particular area, do you respect the right of other Scouting units in the same neighborhood? It's a courtesy to check with neighboring units or the local council service center to coordinate the time of your project and to see that you aren't covering their territory. You unit commissioner or service team member can help you with this. Is it reasonably certain that people who need work or business will not lose it as a result of your unit's plan? Your unit should neither sell nor offer services that will damage someone's livelihood. If possible, check with the people who may be affected. Will your plan protect the name and goodwill of the Boy Scouts of America and prevent it from being capitalized on by promoters of shows, benefits, or sales campaigns? Because of Scouting's good reputation, customers rarely question the quality or price of a product. Unchecked, the network of Scouting units could become a beehive of commercial interest to the neglect of character building and citizenship training. If any contracts are to be signed by your unit, will they be signed by an individual without reference to the Boy Scouts of America, and in no way appear to bind the local council, the Boy Scouts of America, or the chartered organization to any agreement of financial responsibility? Before any person in your unit signs a contract, they must make sure the venture is legitimate and worthy. If a contract is signed, the is personally responsible. They cannot sign on behalf of the local council or the Boy Scouts of America, nor may they bind the chartered organization without its written authorization. If you're not sure, check with your local council service center for help. 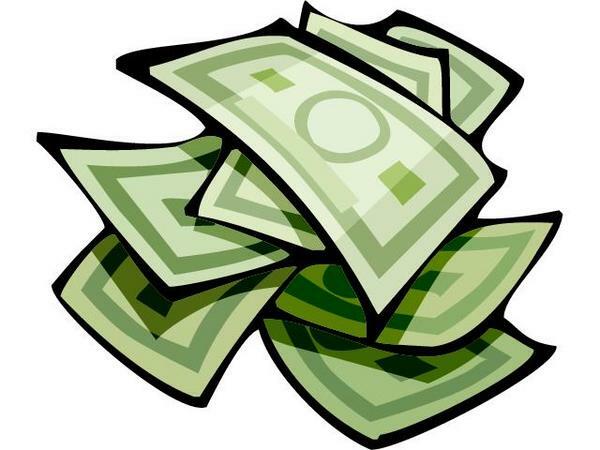 Download the Unit Money-Earning Applicaton. Download the Unit Fundraising FAQ's page.